Well, congradulation on the 3rd year anniversary of your car. I agreed with you on the change it for the newer and better material things mentality in the world today. Lets put it this way, I still have my 1994 Toyota Corolla that I bough way back when. Yes, it is still working, and it never gave me any problems. I kept up with the maintenance and the regular wear and tear. It is still a good car, even though I don’t use it much anymore since I lived in NYC. It serves no purpose to keep an old car in the city while it cost $400.00 USD a month to park it. So, I left it at my mom’s house, and drive it occassionally when I need to pick up a lot of grocery or buying sod for my mom’s lawn. By the way, when you laugh all the way to the bank with your money saved, when your friends have to finance their hobbies, it makes a great deal of difference. That doesn’t mean I never did have fun with the finer things in life…………I just sold my little convertible sports car that I own when I lived in Florida. I had a BMW Z3 roadster, the worst I did was I drove 125 MPH on I75—the Alligator Alley. it was fun, my friends told me my little car could have took off like a little plane if I hit a little bump. I am Chinese, and my familiar originally came from Pudong, well, my grandfather anyway, I grew up in Hong Kong, and went to School in Canada, now, I live and work in NYC. So, next time when you and your wife are in Town, let me know, I can take you to a few local novelty here in the City. Not just any Tourist traps. what if an alligator ran out in front of your little BMW Z3 while you were going 125 MPH on Alligator Alley in South Florida? Well, that will help me to get a paire of alligator shoes, pocket books, belts, maybe even a jacket if the darn thing is big enough. Seriously, young ladies out in Shanghai would help me do a survey? I thought you are driving the Volkswagen Polo all this while. Sorry, but I did not keep up with the updates. Anyway, I’m glad to learn that you had chosen your present car. I don’t see much Italian cars in China during my last few trips to China in different province. Are they rare in China? In my country, Malaysia, such marques have low resale value, mainly due to the high maintenance cost reputation. What about the situation in Shanghai? Do you have any difficulty to source any spare parts? I really loved your history with Goudaner! I have two Palio (basis of the 178 family) and i’m also very happy with the cars, both with 3 years and about 37.000 kms each. Congrats. We have the same car. 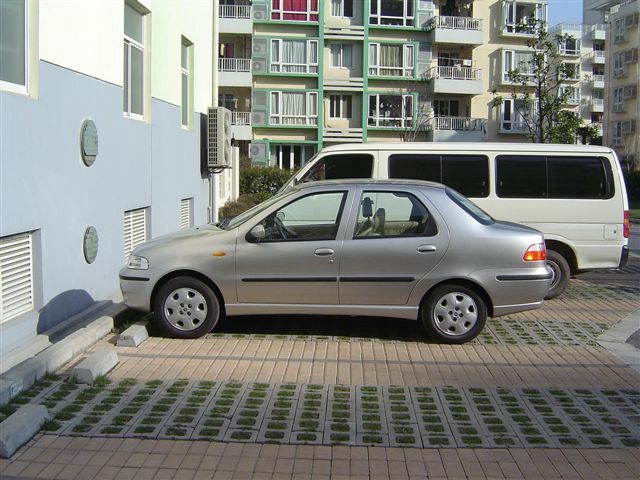 Mine was purchased from http://www.shangcar.com it’s a used car has about 68,000 KM and we are very happy with this car, the car makes our life in Shanghai easier.